Fall detection Automatic fall detection raises the alarm if the wearer cannot do so him/herself. Indicare’s is designed to prevent false alarms. Boundary / Geofence Alert Invisible boundaries may be set on the map. Alerts are sent by Phone/Email/SMS if the wearer Enters or Exits the boundary. Indoor emergency tracking (Beacons) Indicare is the only system that offers indoor tracking. Ask for more details. Every situation is unique but we have a lot of experience and capability to tailor a system to suit your needs. Contact us now to discuss your situation. Are you worried about your special needs son or daughter wandering? Is there a risk that your disabled child may fall and require help? Indicare has an integrated auto-answer speakerphone which allows you to communicate with your child, providing reassurance while you make your way to their location. SOS button: Let them alert you or other carers in an emergency. Assist function: Let them choose the appropriate Carer and speak to them to get help with something. Locking wristband option: Prevents removal without parental permission. Assist function: Allow your child to contact only chosen contacts if they need assistance. Home Beacon: Alternative radio locator beacon enables swift response when your child leaves the house, if required. It also means extended battery-life in the wristwatch as GPS is switched off when in range of the home beacon. Indicare is a cloud-based solution that keeps watch at all times. It will alert carers in the event of a fall, SOS or even if the User just needs a little help with something. Indicare has also been designed to be flexible with each person’s needs: if your child has heightened sensory sensitivity, the wristwatch can be set to a quiet mode easily via the web. Late evenings and Saturdays by appointment. 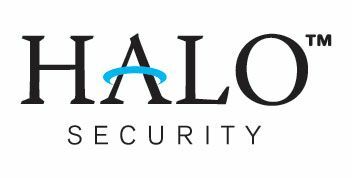 Protecting the personal privacy of every customer is important to Halo Security Ltd /Halo Group / halosecurity.ie (the “Company”, “we”, “us”). As a small business with big ambition, we strive to provide a high level of privacy protection across all of our businesses and services and to deploy consistent, rigorous policies and procedures. Please read this Statement carefully. When visiting our website and using our services that link to or reference this Statement, you agree to be bound by the terms and conditions of this Statement. 2.What roles do we play in processing your data? 3.When are your personal data collected? • whenever you are filmed by our surveillance cameras located in or near our premises. These images are recorded solely for the purpose of protecting property and people’s safety, and for preventing abuse, fraud or other criminal activities from which our customers and ourselves could also become victims. The personal data we collect include any and all data you provide to us when you enter into contract with us, register an account with us, enter on our website, provide us information on a web form, update or add information to your account, or give us in any other way. You can choose not to provide data to us, but we may then not be able to service you where such services require processing such data. We use the data that you provide for purposes administering your use of our services, such as communicating with you, responding to your requests, managing your account, customizing your service experience with us, improving our products and services, and personalizing marketing measures and activities. We may communicate with you by mail, email or telephone. We will send you strictly service-related announcements or information on rare occasions when it is necessary to do so. Examples of the data we collect and store include: your e-mail address, name, address, phone number, login, account name, account number, password, your account activity, files accessed or used by you, transaction data and any information you provide during a transaction, or other transaction-based content that you generate or connected to your account as a result of your transaction, financial data such as bank accounts and credit card numbers, logistics and billing data (such as customs ID and tracking number), your chat and service history with us, and any other information you may provide us such as your age, gender, interests, and preferences. We also receive and store certain types of data whenever you interact with us. For example, we use "cookies," which are unique identifiers that we transfer to your device to enable our systems to provide features of our services such as personalized advertisements on other websites, provide remote access for you, allow you to visit our website without re-entering your username and/or password, verify that you have the authorization needed for the services to process your requests, personalize and improve your experience, record your preferences, customize functionalities for your devices, and to improve the functionality and user-friendliness of our services. It also helps us to better understand how you interact with our services and to monitor aggregate usage and web traffic routing on our website. Most of the cookies used by us are so-called "session cookies." Cookies do not cause any damage on your computer and do not contain any viruses. Most browsers automatically accept cookies as the default setting. You can modify your browser setting by editing your browser options to reject our cookies or to prompt you before accepting a cookie. However, if a browser does not accept cookies or if you reject a cookie, some portions of our services may not function properly. • send the most appropriate banners based on geographic area or information derived from your IP address. • estimate the total number of visitors from specific countries or regions all over the world. • help to identify customers. We may also receive data about your location and your mobile device when you download our apps. This includes a unique identifier for your device. We may use this data to provide you with location-based services, such as advertising, search results, and other personalized content. You can turn off location services on your device. All the data we collect from you may be stored as log files in our server or as augmented information associated with you or your devices. These log files are used for analysis, research, auditing, and other purposes. Your data is stored in log files until the data is transferred to backup databases. We routinely back up a copy of your data to prevent loss of your data in case of a server breakdown or human error. However, all such copies of your data in our backup database will be retained only for as long as our data retention policy permits (see “How long do we keep your personal data?” below), and will in any case be deleted immediately upon your request. Our website uses analytics tools such as cookies to analyze how you use our website, and to monitor and analyze the use of our services. The information generated by cookies about your use of the website will be transmitted to and stored by various cookies providers (“Cookies Providers”). Cookies Providers will use such information on our behalf for the purpose of evaluating your use of the website, compiling reports on website activity, and providing us other services relating to website activity and internet usage. We use both first-party and third-party cookies on our website. First-party cookies are cookies issued from our domain that are generally used to identify language and location preferences or render basic site functionality. Third-party cookies belong to and are managed by other parties. These cookies may be required to render certain forms, or to allow for some advertising outside of our website. • Unsubscribing newsletters or opting-out of marketing measures and activities, via a link at the bottom of newsletter or emails regarding marketing measures and activities. 7.How do we process your personal data? • To design and deliver our services and activities to you. • To operate our website to provide you access to and use of our services. • To design services and activities, inform you of online and offline offers, products, services, and updates, customize your shopping processes, or share with our business partners, distributors, integrators, and customers. • To customize, measure, and improve our services and our marketing communication activities based on your background, interests, or service or promotion preferences, where we may create a profile based on such information (see “Profiling” section of this Statement). • To provide services and products requested by you as described when we collect the information. • To contact you to conduct research about your opinions of current services and products or of potential new services and products that may be offered by us. • To send you communications regarding marketing measures and activities or conduct webinars informing you of our news, events, new products, business tools and information, and activities. • To share your contact details with our affiliate offices around the world within our group of companies, for the purposes of internal administration and back-office support, to ensure our network security, and to prevent fraud. • To maintain the integrity and safety of our data technology systems that store and process your personal data. • To provide anonymous reporting for internal and external customers. • To share your contact details with our logistics partners, distributors, and integrators so that they can assist us to deliver our services and products to you. • To provide you with location based services (such as advertising, search results, and other personalized content). • To enforce or defend our policies or contract with you. • To detect and investigate data breaches, illegal activities, and fraud. If you wish to subscribe/opt-in to our marketing measures and activities, we will use your name and email address to send the communications to you. Out of respect for your privacy, if you no longer wish to receive these communications from us, please follow the opting-out “unsubscribe” instructions provided in the link at the bottom of our emails regarding marketing measures and activities, or update your account settings. 8.What is our lawful basis for processing your personal data? In general, the lawful basis for us to process your personal data for the various types of processing performed on your data (please refer to “How do we process your personal data?” section of this Statement) is, as applicable, processing based on your consent, as necessary for us to enter into and to perform our contract with you, or as necessary to pursue the legitimate interest of our Company or of third parties. You are not under any obligation to provide us any personal data. As noted below, the choice is yours. However, please note that without certain data from you, we may not able to undertake some or all of our obligations to you under our service contract with you, or adequately provide you with our full range of services. If you would like to obtain more detail about this, please contact us following the instructions in the “Contact Us” section below. • our affiliated entities within our global group of companies worldwide to provide you services such as facilitating order processing and shipping, for internal administration purposes, to detect and deal with data breaches, illegal activities, and fraud, and to maintain the integrity of our information technology systems. • third-party service providers whom we subcontract to work on our behalf or for us and therefore may have access to your data only for purposes of performing these tasks on our behalf and under obligations similar to those described in this Statement, who perform functions such as data processing, auditing, order fulfillment, managing and enhancing customer data, providing customer service, conducting customer research or satisfaction surveys, logistics support, marketing support, payment processing and invoice collection support, informational systems technical support, to help us provide, analyze, and improve our services such as data storage, maintenance services, database management, web analytics, improvement of our service features, and to assist us in detecting and dealing with data breaches, illegal activities, and fraud. • governments and/or government-affiliated institutions, courts, or law enforcement agencies, to comply with our obligations under relevant laws and regulations, enforce or defend our policies or contract with you, respond to claims, or in response to a verified request relating to a government or criminal investigation or suspected fraud or illegal activity that may expose us, you, or any other of our customers to legal liability; provided that, if any law enforcement agency requests your data, we will attempt to redirect the law enforcement agency to request that data directly from you, and in such event, we may provide your basic contact information to the law enforcement agency. • third parties involved in a legal proceeding, if they provide us with a court order or substantially similar legal procedure requiring us to do so. We may provide you with opportunities to connect with third-party applications or services. If you choose to use any such third-party applications or services, we may facilitate sharing of your information with your consent. However, we do not control the applications or services of those third parties or how they use your information, and your use of such applications and services is not governed by this Statement. Please review the terms and the privacy policies of those third parties before using their applications or services. Most of the advertisements and marketing communications that are sent to your web browser are made by us. However, we also allow other companies, called third-party ad servers or ad networks, to provide advertisements on our website. These companies may also send cookies to your computer. If an advertiser asks our website to show advertisements to certain visitors and you respond to that ad, the network advertiser or ad-server may think of you as the targeted audience they are trying to reach. The personal information you disclose to other parties such as network advertisers, third-party ad servers, or other websites from the Internet is protected by their respective privacy policies. The privacy policies of different network advertisers or third-party ad servers are not bound to this policy, and our website is not responsible for these privacy policies. We will display your personal data and account activity in your profile page and elsewhere on our service portals according to the preferences you set in your account. You can review and revise your profile information at any time. Please consider carefully what information you disclose in your profile page and your desired level of anonymity. In your profile page, we will also display your device information as well as provide the network connection information for the devices to the applications that connect to your devices. Our services also include sharing and publishing features that by their nature support sharing with users you choose. Those users may see your name, email address, photo and some information from your profile page, and files you choose to share. They may also forward your shared files or published devices to the public. Public information may be broadly and quickly disseminated. Please consider what files your share and devices you publish. 11.How long do we keep your personal data? Our products and services are not targeted to persons under the age of 16. We do not knowingly collect or process personal data from persons under the age of 16. • The right to request to erase your personal data where it is no longer necessary for us to retain such data, except we are not obliged to do so if we need to retain such data in order to comply with a legal obligation or to establish, exercise or defend legal claims. • The right to withdraw your consent to the processing at any time if we rely on your consent to process your data. This includes cases where you wish to opt out from marketing communications that you receive from us. where we rely on your consent to process your data. This includes cases where you wish to opt out from marketing communications that you receive from us. • The right to request that we provide you with your data and where possible, to transmit that data directly to another data controller, where the processing is based on your consent or is necessary for the performance of a contract with you, and in either case we process the data by automated means. • The right to restrict our processing of your personal data where you believe such data to be inaccurate, our processing is unlawful; or that we no longer need to process such data for a particular purpose unless we are not able to delete the data due to a legal or other obligation or because you do not wish for us to delete it. • The right to object to us using your personal data, where the legal justification for our processing of your personal data is our legitimate interest. We will abide by your request unless we have compelling legitimate grounds for the processing which override your interests and rights, or if we need to continue to process the data for the establishment, exercise or defense of legal claims. • The right to lodge a complaint regarding our processing of your data, with the competent authority where you reside or in which your data is processed. If you would like to exercise any of the above rights, please do so by providing your request to the responsible committee set forth in the “Contact Us” section. As noted in the “Sharing your personal data” section of this Statement, as a globally operating company, we may share your information with our affiliate companies or third parties. Please refer to the “Sharing your personal data” section of this Statement for the recipients of your data and the reasons for our provision of your data to them. Where such entities are located in other countries and jurisdictions, we will therefore be transferring your personal data outside of the European Economic Area. In making such data transfers, we make sure to protect your personal data by applying the level of security required by the applicable privacy laws. Where we transfer your data to a country or jurisdiction that cannot guarantee the required level of protection as required by applicable privacy laws, we have enhanced our IT security measures and have entered into Standard Contractual Clauses with the transferee to require security obligations on the transferee, both of which are intended to increase the protection of your personal data. Standard Contractual Clauses are one of a number of "appropriate safeguards" under the applicable privacy laws that enable the transfer of personal data concerning data subjects within the European Economic Area to jurisdictions that have not been designated by the European Commission as possessing an adequate level of data protection. You may request a copy of such Standard Contractual Clauses from us, or inquire about transfers of your information, by providing your request to the responsible committee set forth in the “Contact Us” section. We strive to provide the most relevant and valuable marketing experience for you. Therefore, we collect the basic information you provide to us when you opt into our communications (such as email address, company name, industry, country, etc.) in order to supply you with content that is applicable to your business and job role. We will also couple that with any inferred data you provide through actions you take when interacting with the content we offer you. For example, if you are interested in specific industry topics, we may offer you more information about such topics the next time we have news to share. • We have carried out, and will carry out on an annual basis, a Data Protection Impact Assessment to consider and address the impact to you before we conduct any new profiling. • We collect only the minimum amount of data we need for our profiling purposes. • To the extent possible, our priority is to use anonymized or pseudonymized data, instead of data that can directly or indirectly identify you, in our profiling activities. • All such data are secured with the technical measures described in the “Security” section of this Statement. • We carry out regular checks to ensure that our systems are working as intended. If you do not agree with our carrying out profiling using your data, please note that you have the right to object to such use of your data, and you can object via submitting your request to the responsible committee set forth in the “Contact Us” section. If we wish to use your personal data for a new purpose not covered by this Statement, then we will provide you with a new notice explaining this new use prior to commencing such further processing for a new purpose, setting out the relevant new purpose and processing conditions. In such case, we will find a lawful basis for further processing, and whenever necessary we will seek your prior written consent to such further processing. The website through which we collect your information are usually encoded, using the encryption module of your browser, and are certified for international encryption technique. If necessary, we use SSL (Secure Socket Layers) encryption to protect your personal information. Moreover, we have put in place additional and comprehensive state-of-the-art security measures when your data is accessed via the Internet. Firewalls prevent unauthorized access. Diverse encryption and identification layers protect your data from intrusion or disclosure to third parties during data transfer. Furthermore, we internally use sophisticated encoding methods in order to prevent decoding by unauthorized persons. Moreover, an electronic identifier is generated during data transfer to safeguard your information. For your confidentiality and security, we use a user ID and a password to secure your personal information. It is important for you to protect your ID, password, or any personal information. Do not disclose your personal information (especially password) to anyone. When you are finished using our services, please do not forget to log out from your account. If you share a computer, whether in a public or private setting, be sure to sign off and close your browsers when finished using a shared computer. Despite our best efforts, however, security cannot be absolutely guaranteed against all threats. If you believe that the security of your data has been compromised, or if you like more information on the measures we use to protect your data, please contact us following the instructions in the “Contact Us” section below. You can choose to not allow us to engage in building a personalized marketing profile based on such profile. Your choice or request on any aspects of data processing listed above can be communicated to us using the channels set forth in the “Contact Us” section of this Statement.